From the side-on view, you can see just how much height is achieved by the preliminary padding. Work in progress. Purple cotton background with padded white PVC applique, on top of which individual letters have been added in several layers of felt. 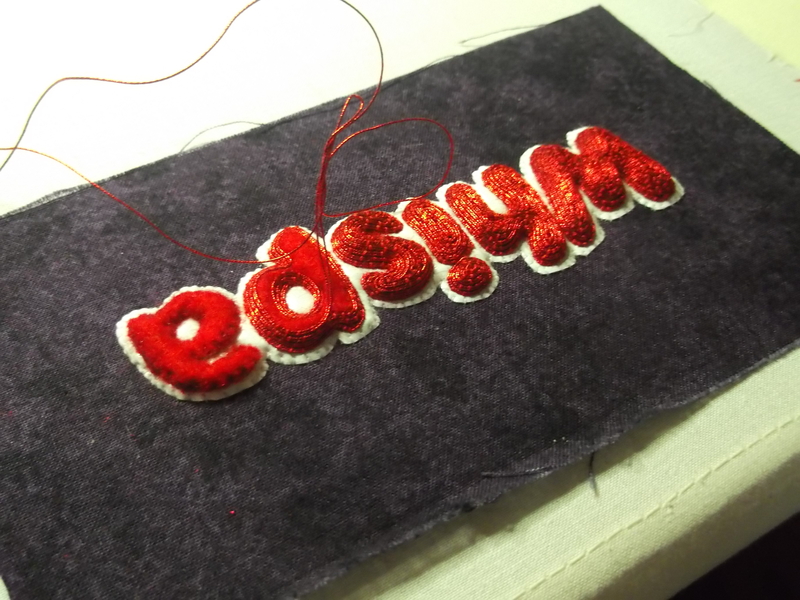 Red metallic passing thread couched down, two strands at a time, to the contours of the shape. 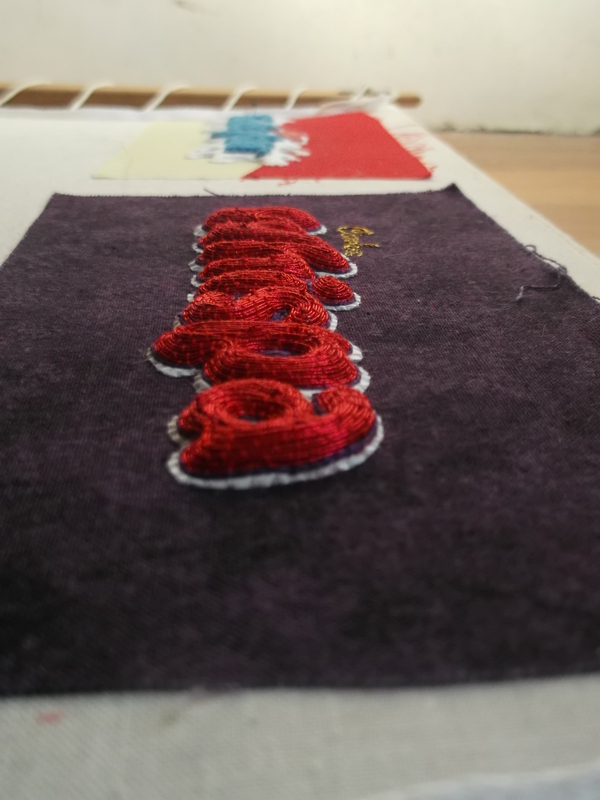 Afterwards,each letter was edged in purple couching and the ‘Careless’ logo stitched on in gold filament. 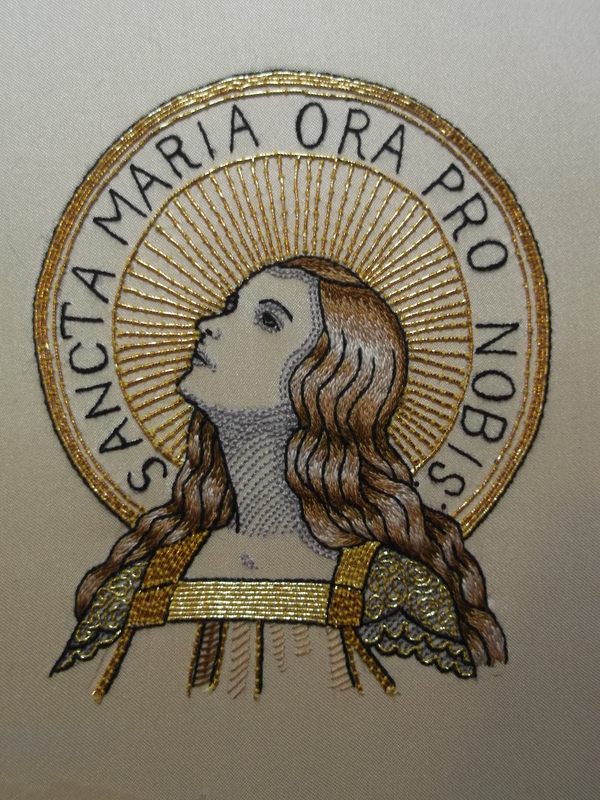 Jane – I’m glad you liked it, I had the song in my head the entire time I was stitching it! These re-worked chocolate bar logos are terrific. 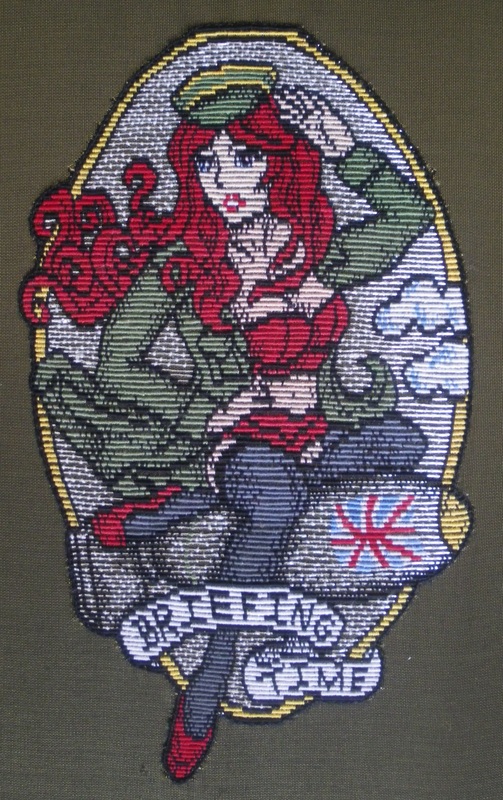 Beautifully made and thought provoking too. None of these are spelt ‘properly’…. 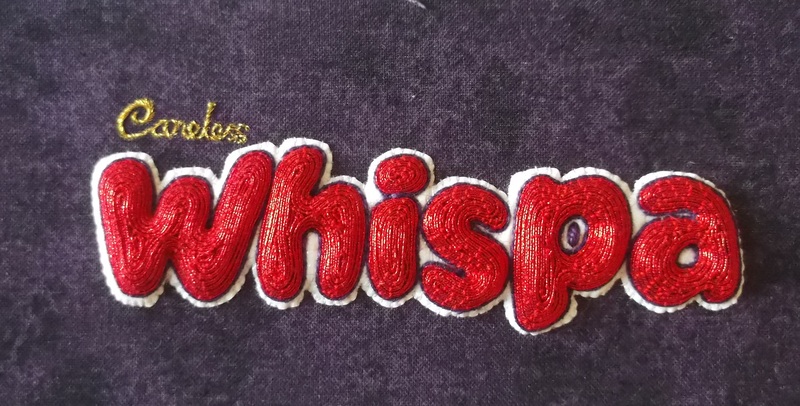 ‘whisper’ (as in, ‘Careless whisper’) has a H!